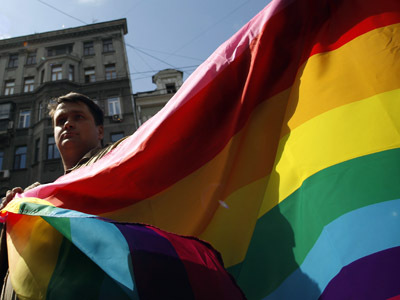 Moscow city court has upheld a decision to turn down the LGBT activists’ request for permission to hold gay pride parades for the next 100 years. 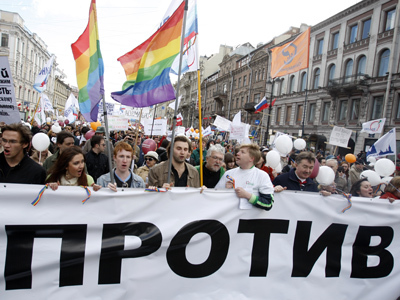 Earlier, Tverskoy district court ruled lawful the decision of the Moscow municipal government to ban public events that can be qualified as gay parades from March 2012 till May 2112. On one occasion, though, Muscovite gay rights activists found a way to the streets – after they quibbled the authorities to get access. 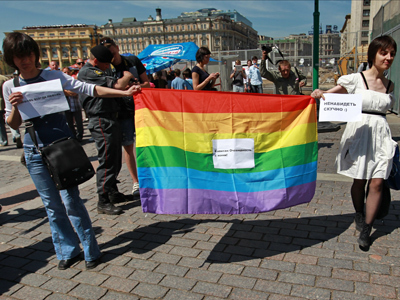 About 70 people marched on one of Moscow’s quays under rainbow banners in early June and managed to hold a two-hour rally calling for freedom of assembly and organization for sexual minorities. 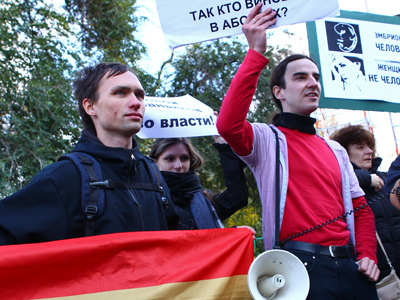 This year the Russian government started an active campaign against so-called gay propaganda – a special law was approved and signed into force in St. Petersburg, prompting a group of parliamentarians to suggest approving a similar law on a nationwide scale. Two people have already been brought to justice in St. Petersburg for displaying a poster reading “Being gay is normal” in the street near a kindergarten. 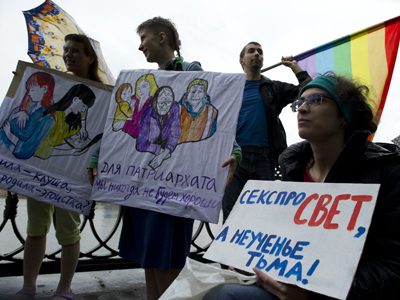 The bill has been widely criticized by Russia's LGBT and human rights activists as well as international human rights groups. Protest rallies by Russian consulates took place in many countries throughout the world. After the first reading of the legislation Amnesty International urged St. Petersburg’s lawmakers to stop the adoption of the “inhumane” bill. The US State Department has also criticized the document. Many legal experts have declared that the legislation is so vague that it is impossible to distinguish where one’s private life ends and propaganda begins, so anyone can be brought to trial for breaking the law.